The study authors: J. Wyka, E. Malczyk, M. Misiarz, M. Zołoteńka-Synowiec, B. Całyniuk, S. Baczyńska. 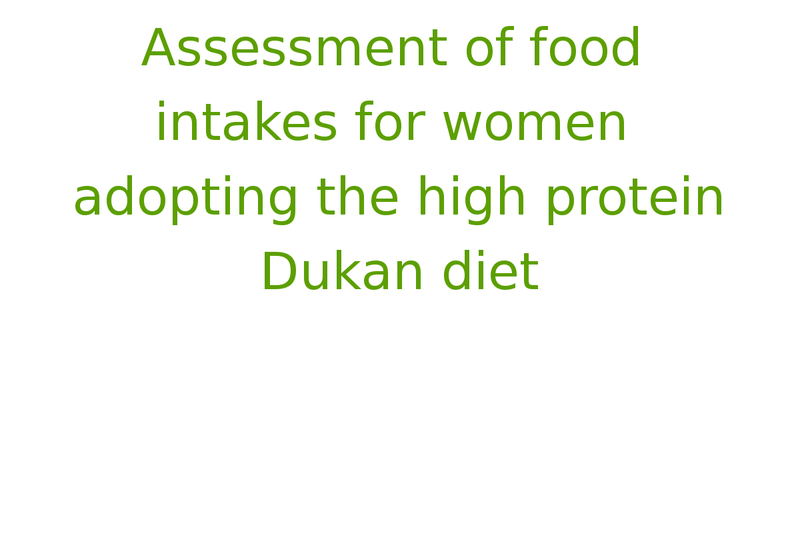 The results of research on "Assessment of food intakes for women adopting the high protein Dukan diet" conducted by J. Wyka, E. Malczyk, M. Misiarz, M. Zołoteńka-Synowiec, B. Całyniuk, S. Baczyńska (). Overweight and obesity are metabolic disorders affecting both adults and children. Effective treatment of these conditions is focused on decreasing the body mass, through individually tailored and well balanced diets, along with increasing physical activity. Obese persons often, however, choose high protein diets for losing weight. Recently in Poland, the high-protein Dukan-diet has become very popular. 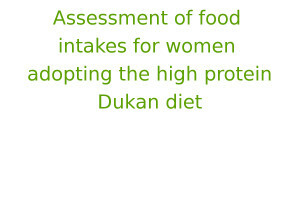 To assess dietary consumption in women adopting the Dukan-diet, including intakes of protein, fat, carbohydrate as well as vitamins and minerals. Subjects were 51 women aged 19-64 years on the Dukan-diet, who were surveyed by individually conducted interview. Women were asked to provide typical menus from each phase of their diets. Quantitative dietary intake assessment was achieved by an officially used ‘Photograph album of foodstuffs and dishes’ as custom-designed by the National Food and Nutrition Institute (IZZ) in Warsaw. Protein intakes in all subjects were excessive, especially those of animal origin when compared to recommended nutritional standards. In contrast, dietary carbohydrate intakes were low due to poor consumption of fruit and vegetables. Mineral and vitamin intakes revealed high potassium, iron and vitamins A, D and B2, but low vitamin C and folates. Women’s average weight reduction after 8-10 weeks of dieting was approximately 15 kilograms. Many nutritional abnormalities were found in women on the high protein Dukan-diet. Adopting this diet in the long-term may pose health threats through acquiring kidney and liver disease, osteoporosis and cardiovascular disease.